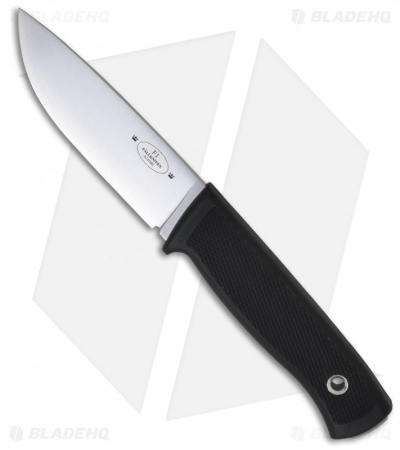 This Fallkniven F1 knife is a limited edition model with a premium 3G laminated powder steel blade. The blade is convex ground and satin finished. The diamond textured Thermorun handle provides an ideal platform for safe and comfortable use, whether wet or dry. The tang protrudes at base slightly (less than 1/16"). 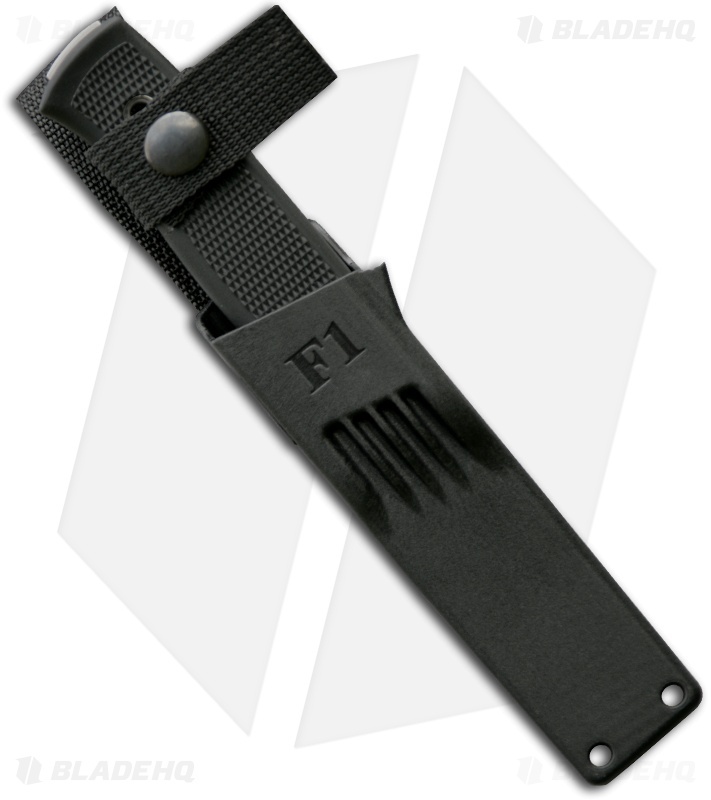 This Fallkniven F1 comes with a tough double-safety, one hand operated zytel sheath with belt loop.